Elvis' fans span the whole world. They can be found in all places from China to Czechoslovakia. Elvis fan clubs are estimated to number around five hundred, represented in all but six states in the US and forty-five countries around the world. 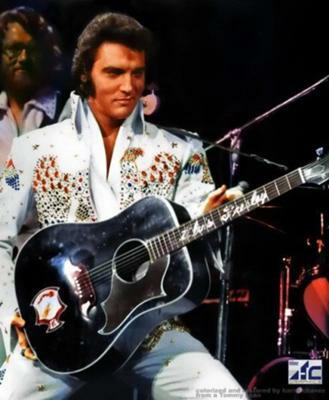 With the sheer number of Elvis' fans, there is no denying that he was one, if not the most, famous hip-shaking rock and roll superstar to walk the earth. Elvis' fans have formed clubs and coalesced with each other not only to commemorate the legacy of the king of rock and roll, but to also continue to acclaim his contribution to music, movies, and show business as a whole. In a bid to preserve Elvis Presley's legacy, most fan clubs hold festivals to honor The King. One such festival, called Elvis fest, is observed annually in Ypsilanti's Riverside Park; the yearly celebration is in its' eighth year. Common activities include performances from hundreds of Elvis impersonators, a candlelight vigil in honor of Elvis, film showings, a Elvis collectibles bazaar, and even Elvis' favorite meals. Some Elvis fans celebrate the legacy of Elvis by giving through charitable donations. Elvis was known to be philanthropic and one who respected and appreciated his fans. Many of Elvis fans convene on a monthly or yearly basis. The venue for these assemblies doesn't matter as long as Elvis' songs are played in the background. From driveways and basements to ballparks and bistros, Elvis fans can easily get in the mood because everyone shares the same interests. However, fans from Memphis or Graceland and nearby areas are always sure to have a grander time. Las Vegas and Hollywood are also considered as epicenters for Elvis' fans. Indeed, it isn't everyday that you can see that an artist has touched lives in ways that don't necessarily belong to his or her craft. Elvis' fans are among those lucky ones who are continually inspired by their idol's endeavors, even if he has been gone for a long while. 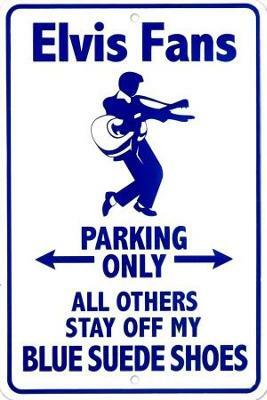 If you are an avid Elvis follower, you can join the nearest Elvis fan club in your area. Doing so, you will gain friends and have special access to many exclusive Elvis materials; but most importantly, you will have your chance of emulating his deeds. Who knows, you might just be like him someday.